Alas, a change of job and getting used to commuting longer distances threw me out somewhat, but hopefully I can get back to posting again. 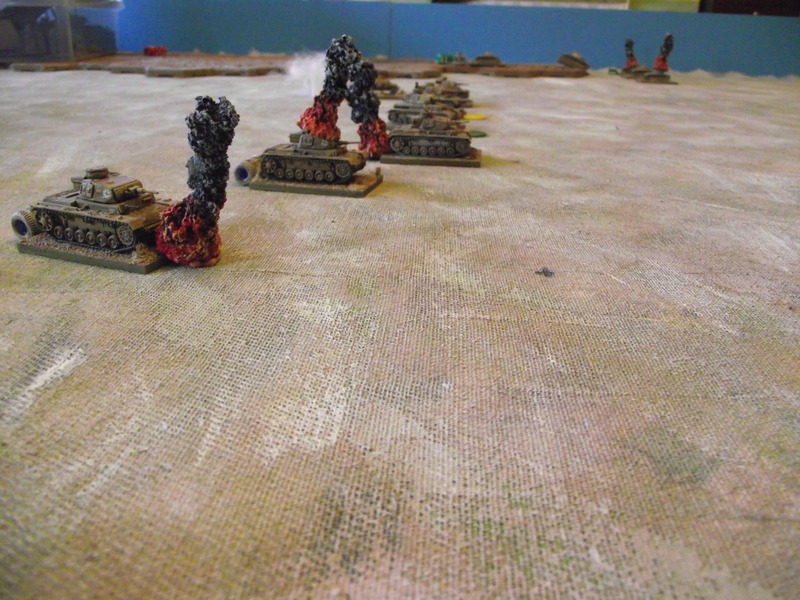 So, to catch up the last few months – first a wargame catch up. What have I been doing? But not without casualties – A Honey brews up on the wadi slope. Behind the second honey is my ammo counter – a knitting stitch counter repurposed! 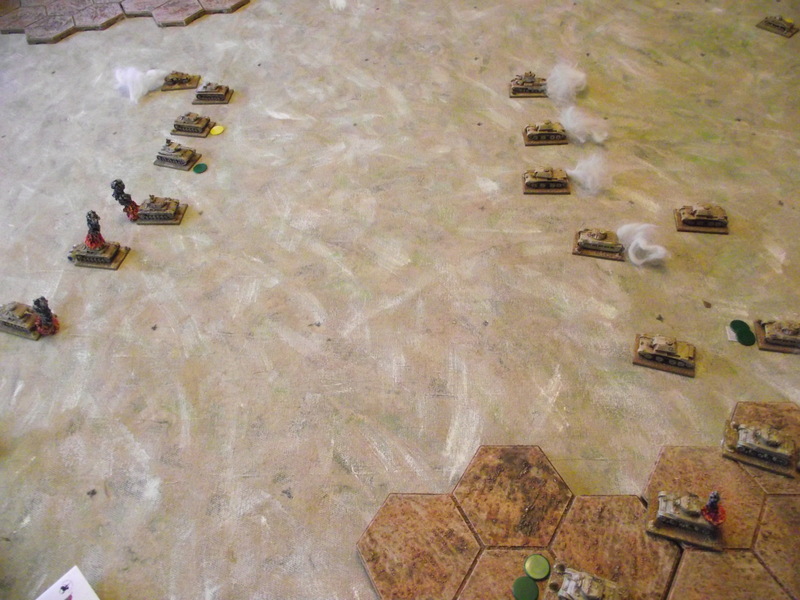 The carrier section races towards the first aid post (an objective) – the allies have already lost an armoured card defending it – but PzII’s brew up in the distance. First time we really used autocannons – and found them to be really good for small recon type operations. The Matilda I’s in background are trying their hardest to be Type VI’s. 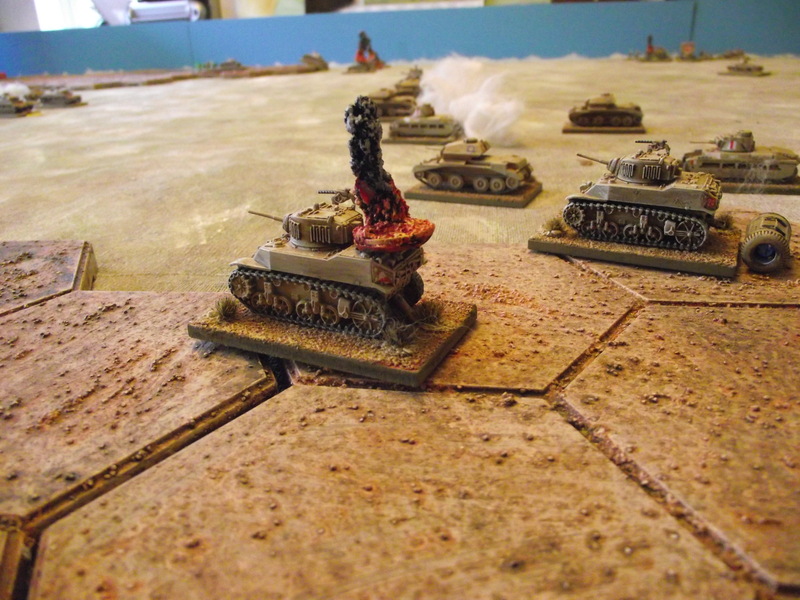 The battle line comes to grips – the Axis have been stopped and the allies are now charging forwards. 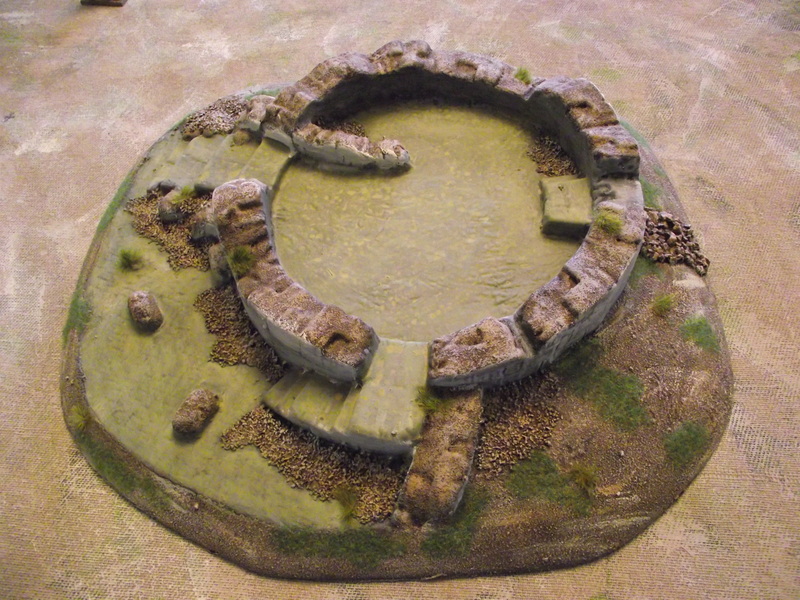 In Battlegroup minefields are represented by a terrain piece around which a 5″ minefield is said to be effective. 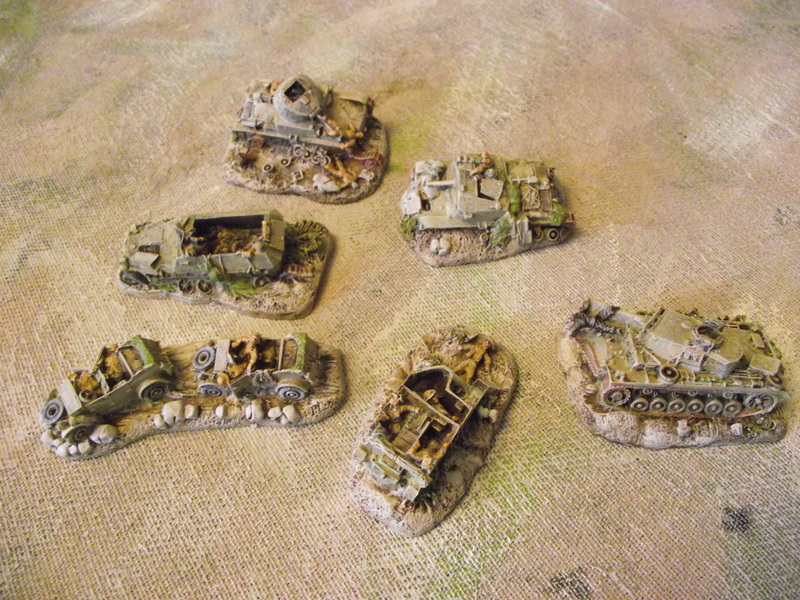 I thought I would use the Peter Pig ‘knocked out’ vehicles as terrain markers – and here they are in all their glory, Italian, German and British. On another front, I have painted up some units for ‘To the Strongest’ – my idea here is to have actual figures representing the heroes (normally shown by counters) attached to units. 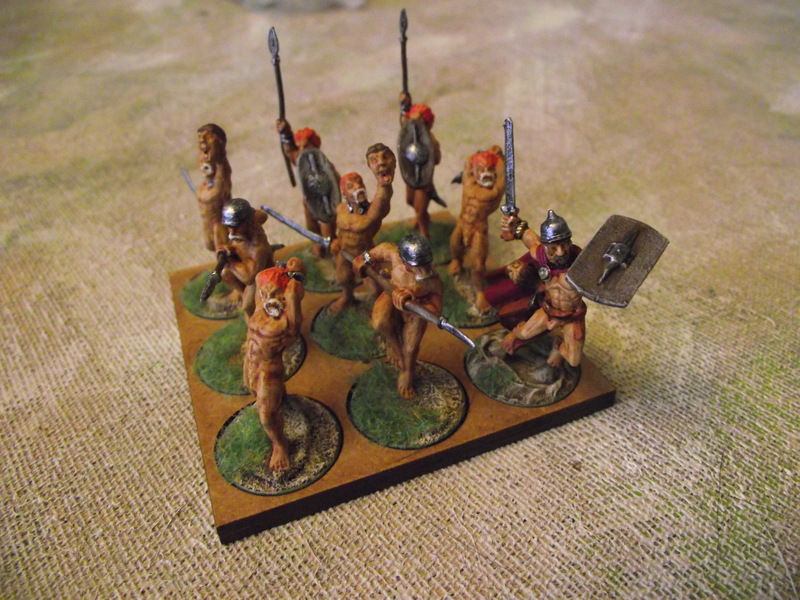 Here are some Celt chiefs, fanatic standard bearers. 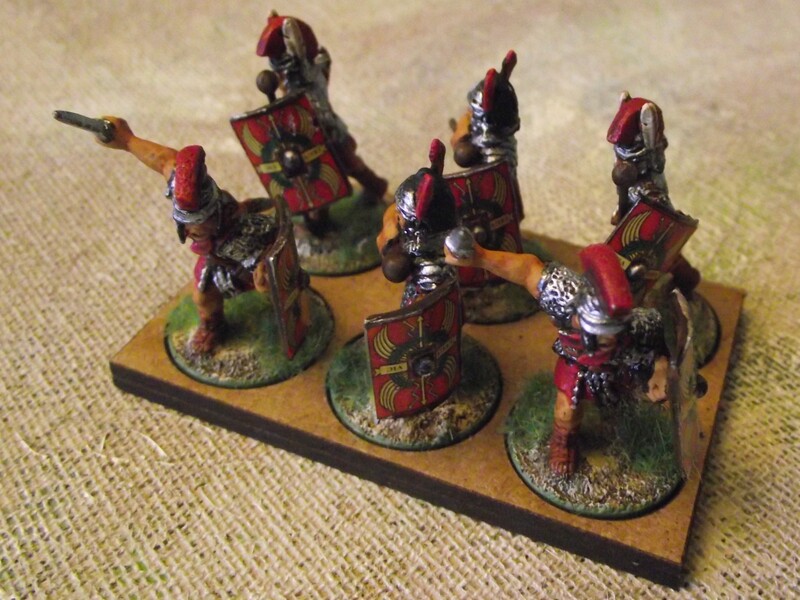 Some more Celt fanatics – all 28mm Warlord Miniatures. Really easy to paint as you would imagine! And for the Romans, some Optios. 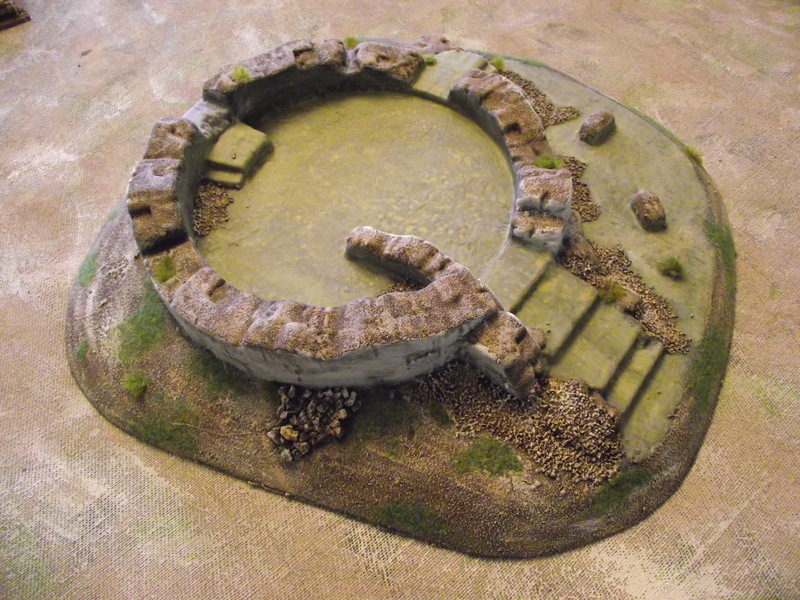 Again Warlord Miniatures 28mm. Ok figures but not great. 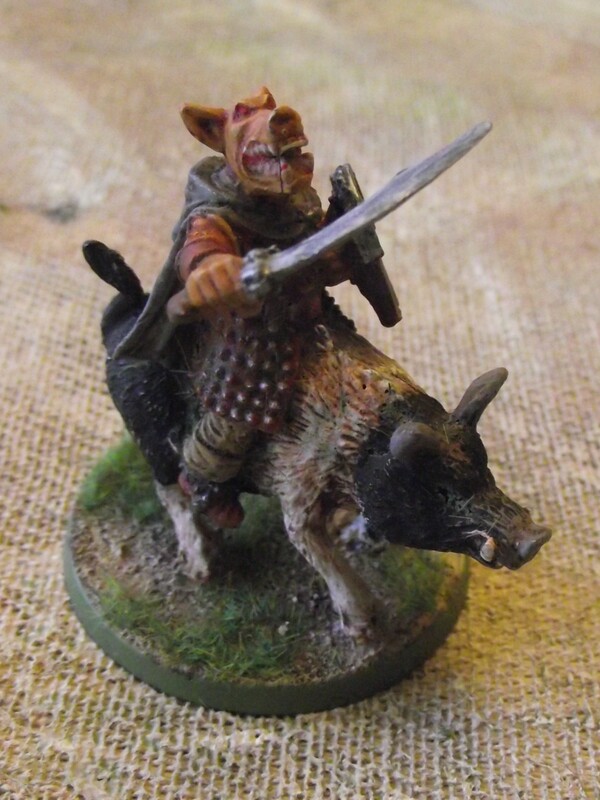 And I have done a few fantasy figures as well – this pig faced orc on a pig from Otherworld Miniatures 28mm. Loved this figure and enjoyed hunting through my pig books to decide which type of pig to paint. 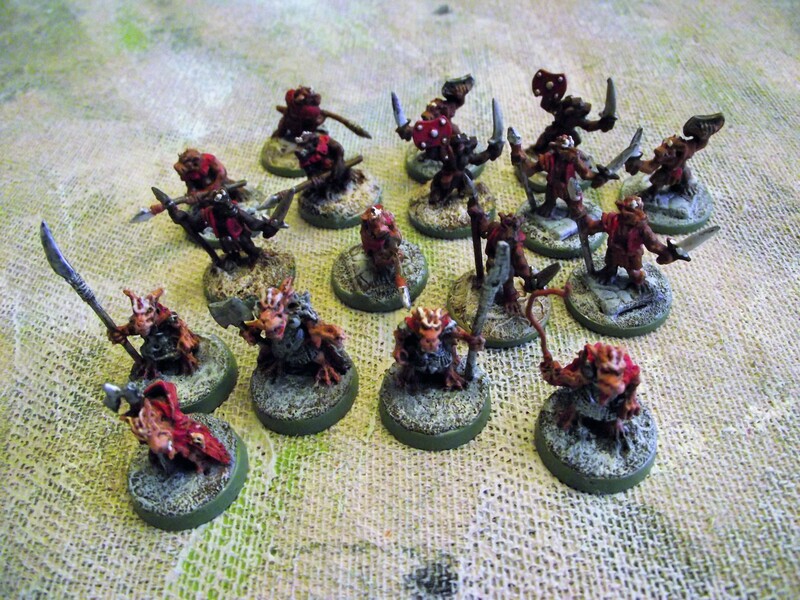 I love Otherworld stuff – well sculpted, well cast and a joy to paint. 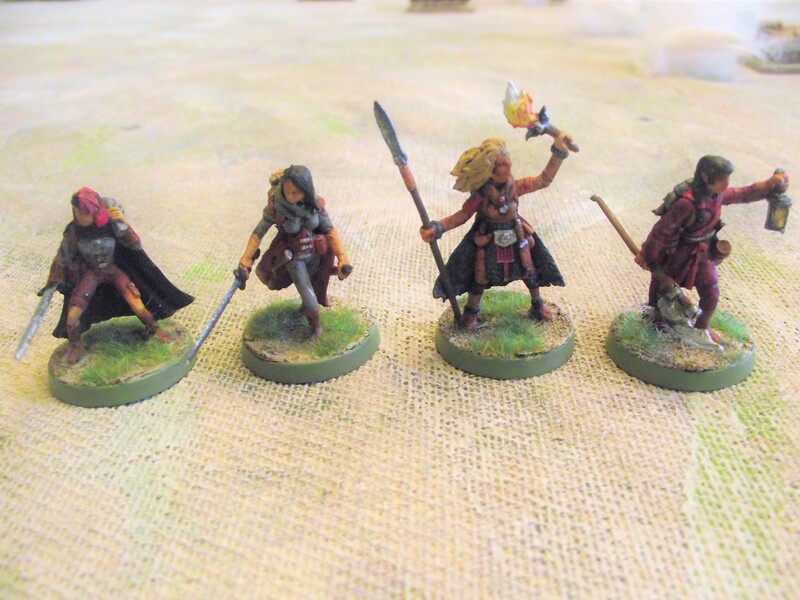 Four Female human adventurers from Otherworld. 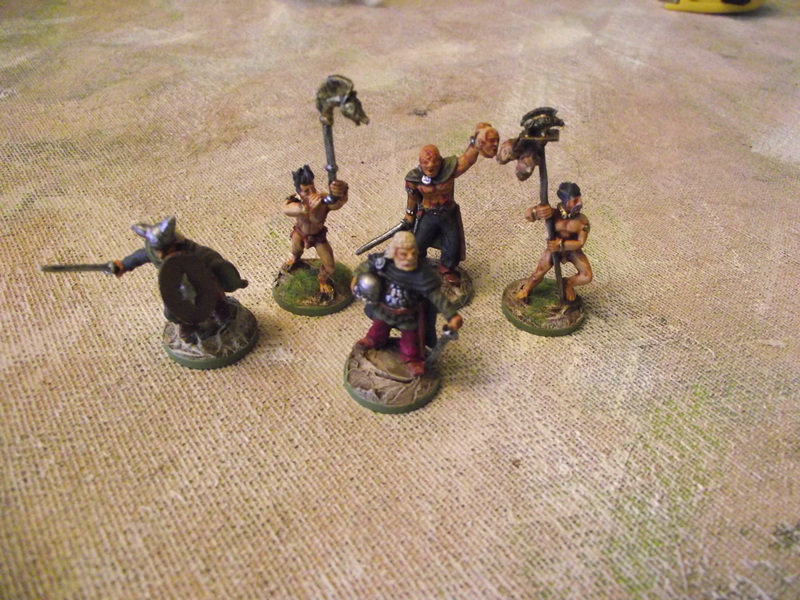 From left, Thief, Ranger, Barbarian and Monk. 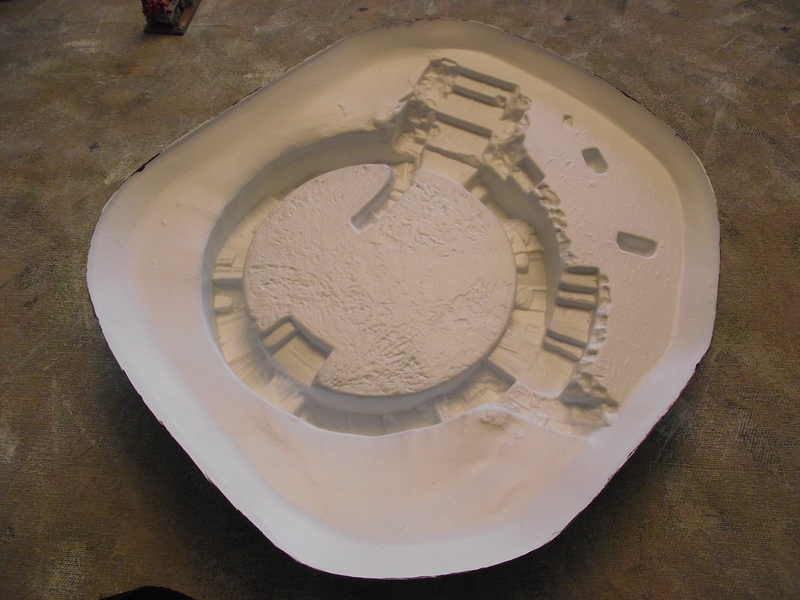 All the fantasy stuff were painted for a small dungeon delve I held. Sadly it didn’t really work out – so maybe not doing that again!! 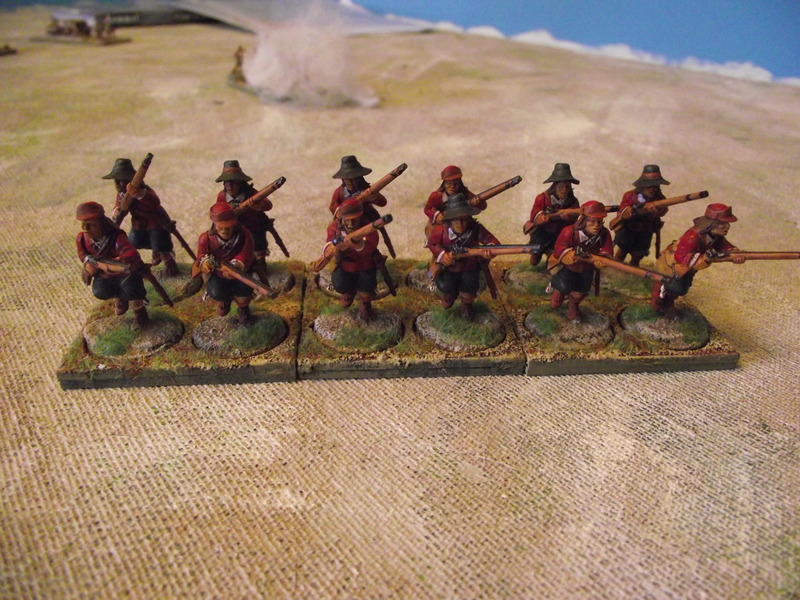 In between all that I painted a unit of muskets (commanded shot) for my ECW force. 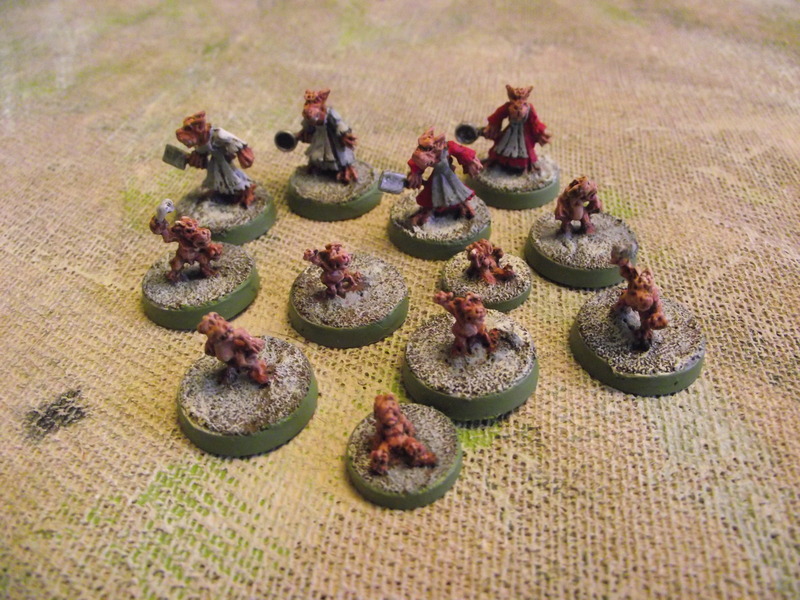 They are Warlord 28mm plastic. These have been sitting unpainted for ages on my shelves. The underneath showing how it looks before you work on it. And finally, disappointment of the year. Rommel by Sam Mustafa. Don’t waste your money. 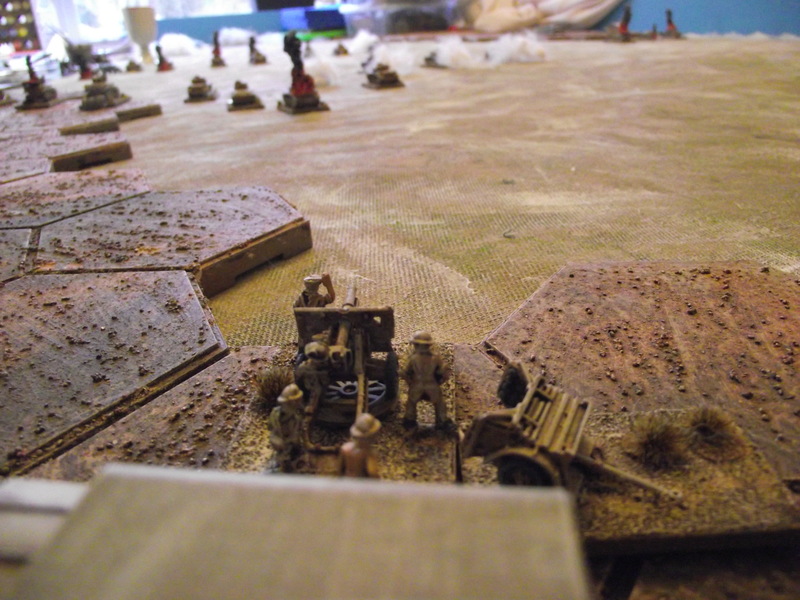 There are better operational rules out there – Megablitz, Not Quite Mechanized, Krieg on Hasse – this fails to deal with any of the issues at operational level, has abstracted out all differences between countries equipment and doctrine and creates attritional combat more akin to WW1. 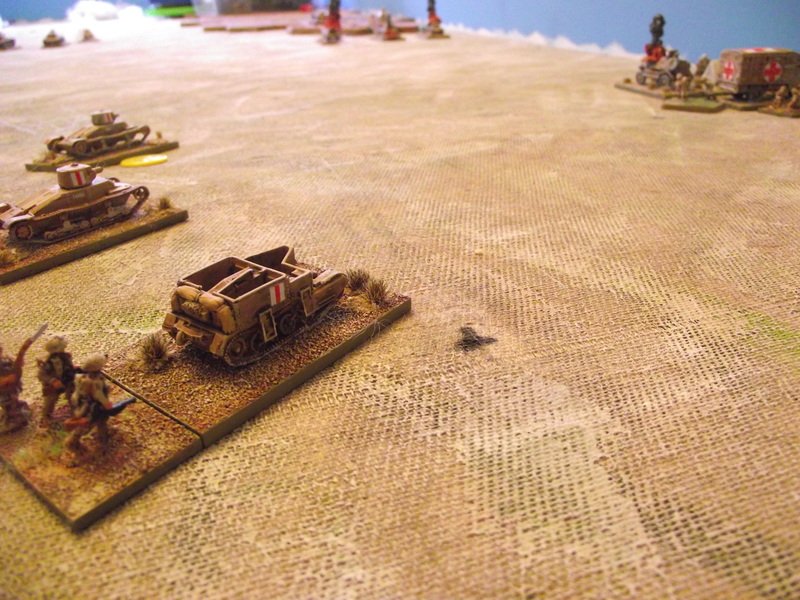 Battlegroup Tobruk and Rommel are the same price – but so much more information (and thus work by the author) is included in the Battlegroup book, which can all be used in other rule sets if required. 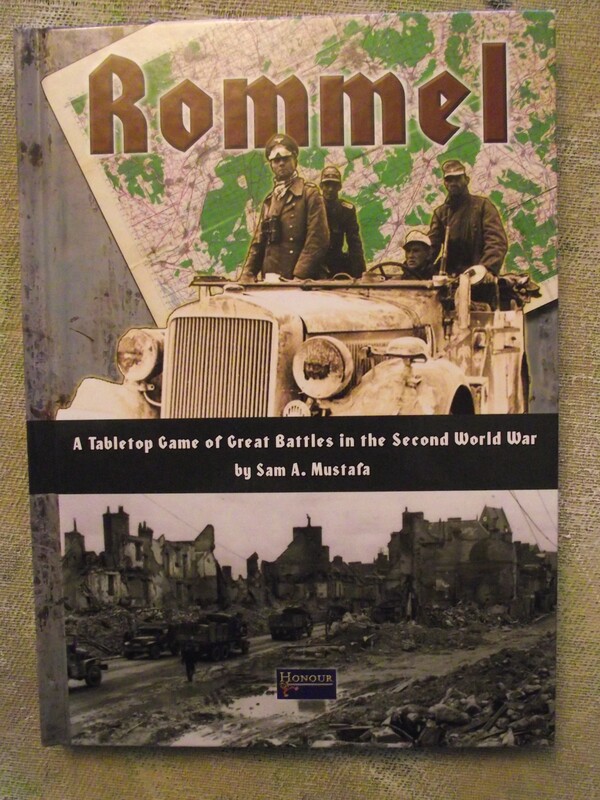 Rommel’s’ layout is poor, lots of white space and passages about irrelevant things, so much so you have to download certain parts of the rules to play it. Liking some of his rules I think Mustafa has done a wrong’un here, especially when you bear in mind that it looks like Krieg on Hasse was its prototype start point. Next up an update on the small holding, as I sit here in a blasting gale with the rain battering the windows. Oh yes – Happy New Year!! !